First-term state Treasurer Alexi Giannoulias firmly affixed his candidacy for the U.S. Senate to President Barack Obama on Sunday, contending that a new generation of leadership in the mold of the man he considers a mentor will outweigh any taint of scandal surrounding Obama's former Senate seat. 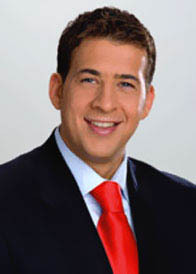 Giannoulias, 33, frequently invoked Obama in launching his bid for the Democratic Senate nomination. He portrayed the race as a choice between the politics of the future or the "tired politics that voters rejected in 2008" -- a veiled slap at a recently announced GOP contender, North Shore U.S. Rep. Mark Kirk, 49. State Treasurer Alexi Giannoulias promises a change is coming soon. This as the Illinois Democrat stops off in the River City on his campaign trail. 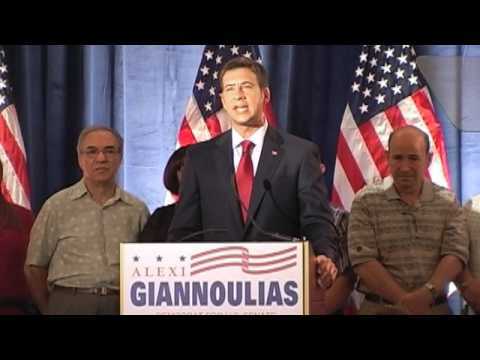 Giannoulias recently announced his run for the U.S. Senate. Critics say Giannoulias lacks the experience to hold the senate seat, but the one term treasurer says he's ready to bring reform to what he called the "old Washington ways." He argues that campaigns are not about who's held the office the longest. So far, Giannoulias will face Republican U.S. Representative Mark Kirk who announced his run for the senate seat last week. Giannoulias used the Abraham Lincoln Hotel in downtown Springfield as a site for his campaign announcement. For the 33-year-old politician, it was a perfect backdrop after he had earlier foreclosed on a favorable loan given to the politically connected hotel investors. Giannoulias says it shows he's about about accountability and change. GIANNOULIAS: And that's why I didn't sit back and let the Illinois power brokers who owned this hotel continue to rip off taxpayers. Giannoulias also touts ethics rules he imposed in his office to prohibit pay to play politics. But questions continue to dog him, including loans his family's Chicago bank gave to convicted felons with ties to organized crime. Giannoulias oversaw those loans. The bank is now suing to collect.